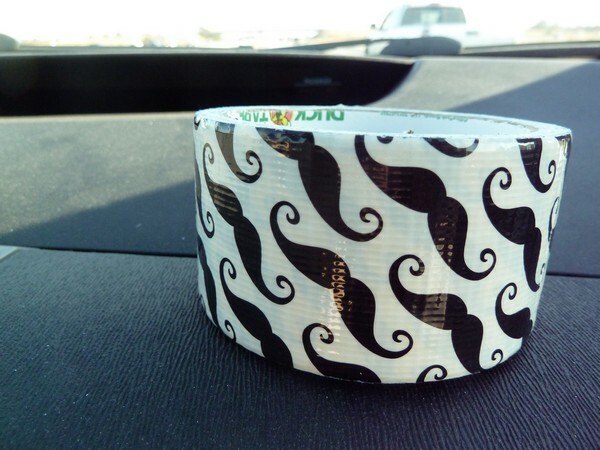 What can you do on a long car trip, with just a roll of duct tape? 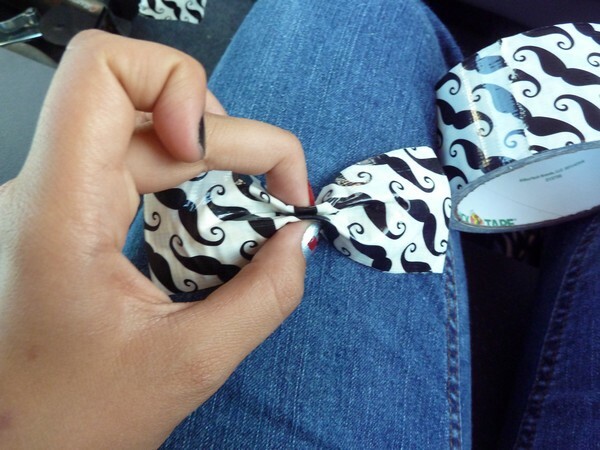 How about some cute bows? 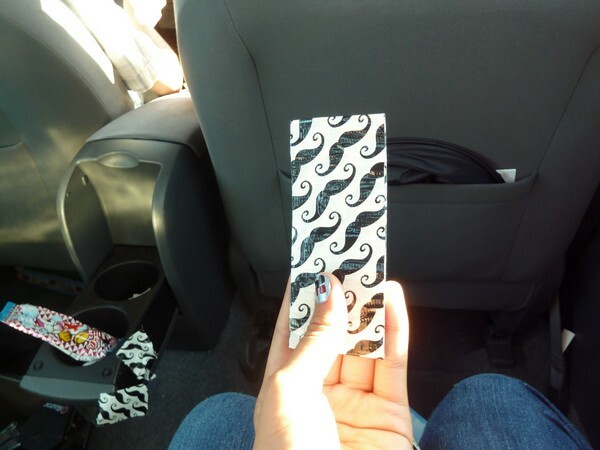 Penga-Sis actually sat in the back of the car while Sak drove us to Salinas, so this tutorial is really from her! 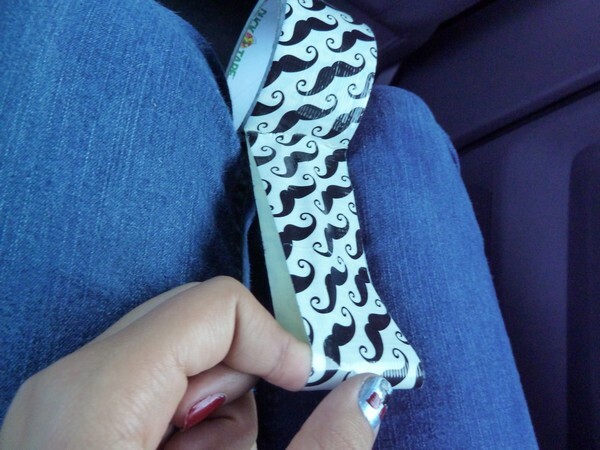 She bought this fun tape from the brand new Hobby Lobby that opened in Morgan Hill! I've been dying to go since I'd only heard of them online before - this is the closest one to the Bay Area I believe. It's a pretty cool store - kind of like a cross between Michaels, Joanns, and Home Goods. Ha! 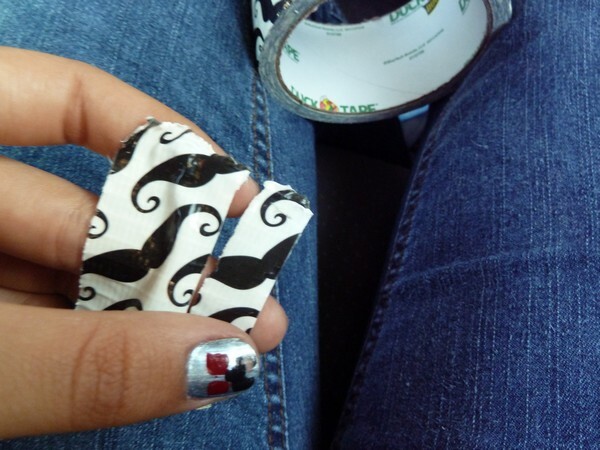 Anyway, double fold the tape to get a nice, sturdy base. 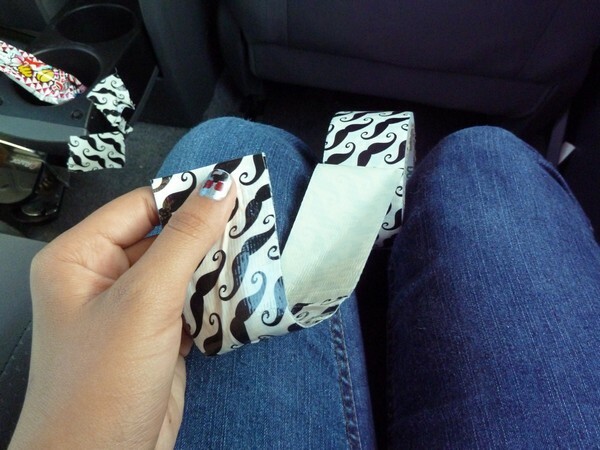 Pinch, and wrap a small piece of tape around the center. 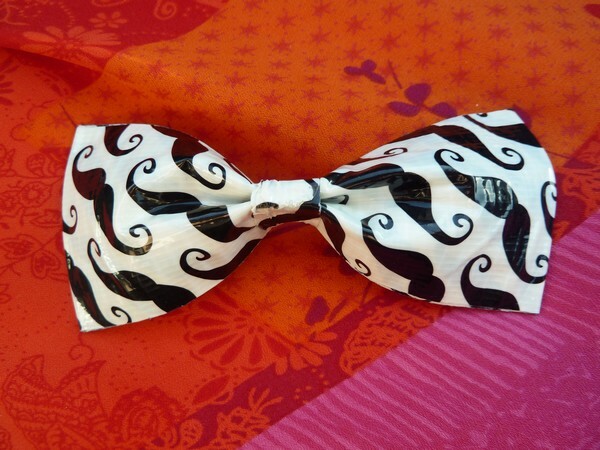 Add a hair tie or clip if you like! 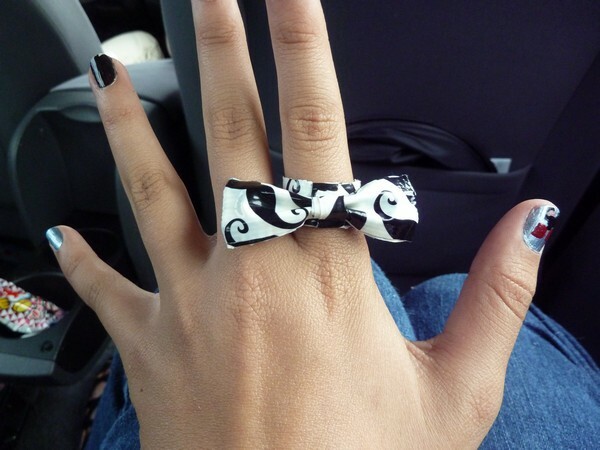 She also made a smaller bow into a ring! 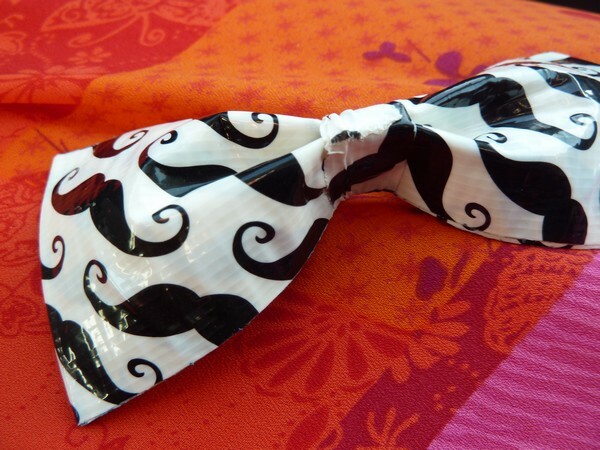 So next time you're on a road trip - don't forget the duct tape! Haha! 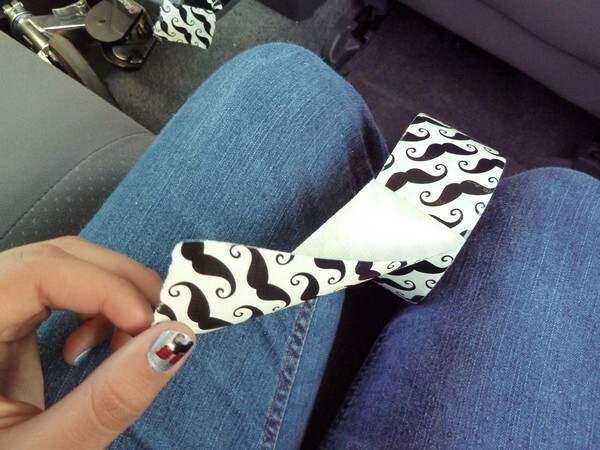 I like the one used as a hair elastic! Cute! Very cute! I didn't know there was a Hobby Lobby in Morgan Hill - I need to take a road trip soon! 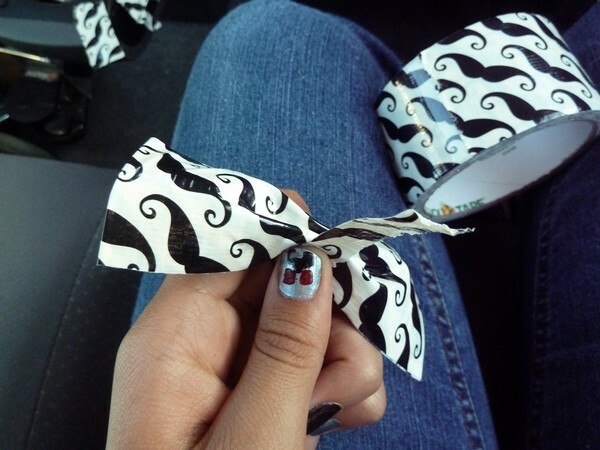 Ahhh, cute! 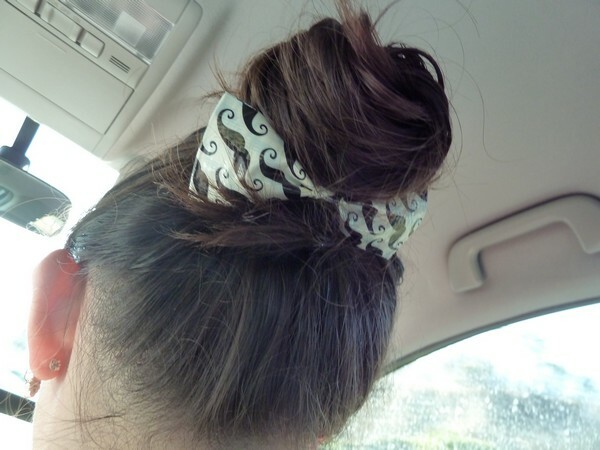 I love the ponytail bow. 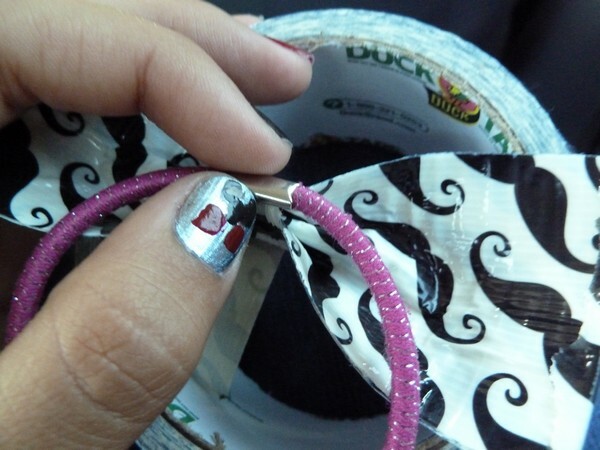 who would have thought of creating cute duct tape! love what your sister did with it.